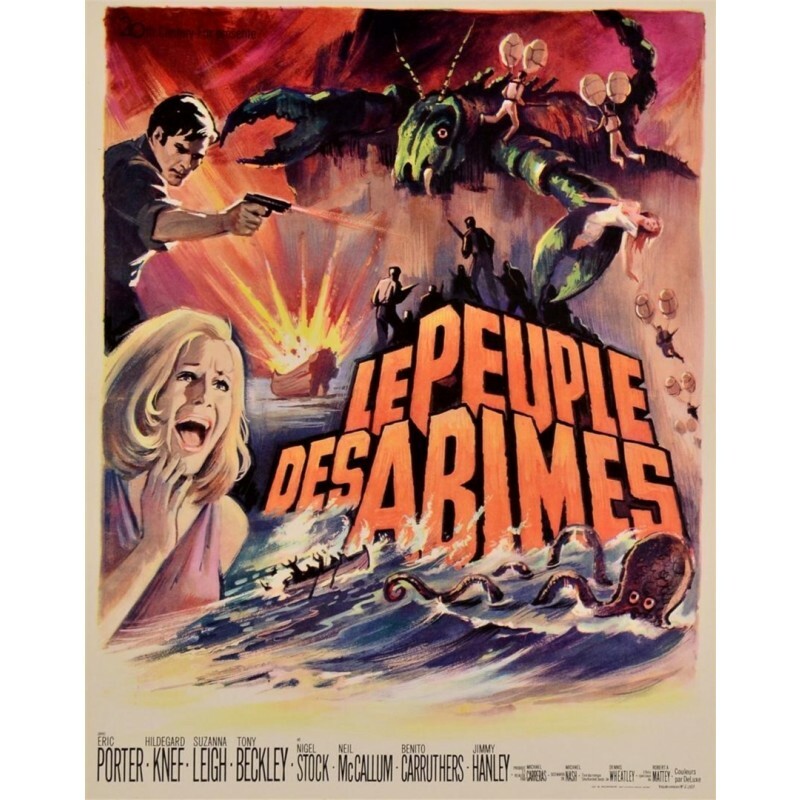 “Le Peuple des Abimes”. 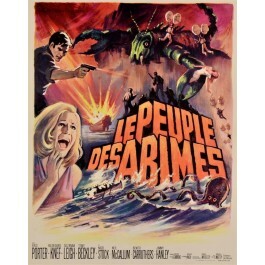 French version of “The Lost Continent”. (1968). A movie by Michael Carreras. 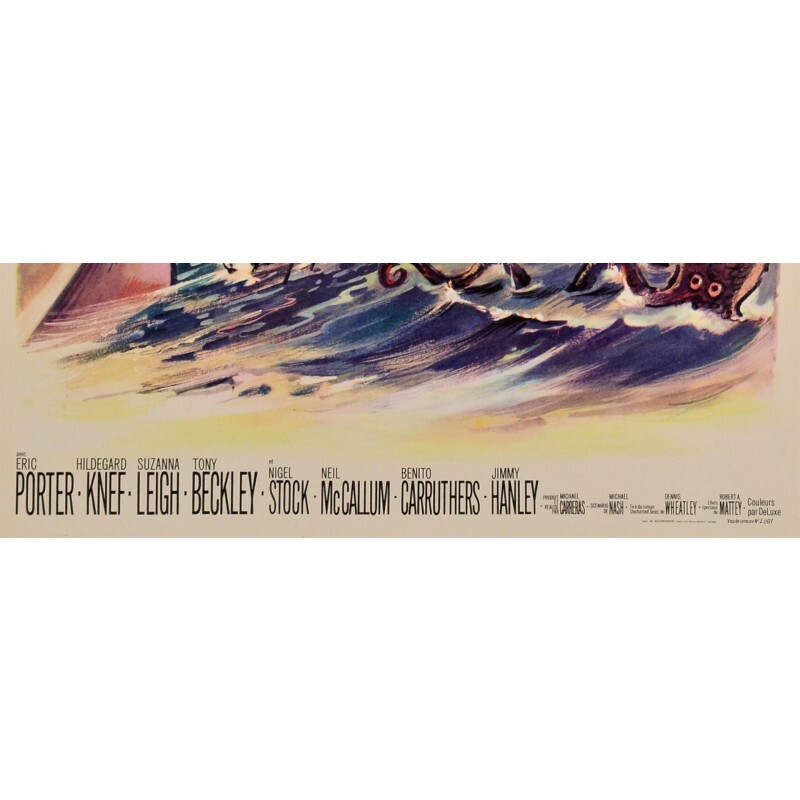 This film starts out like the Love Boat on acid, as a cast of varied characters, with various issues, take Captain Eric Portman's leaky cargo ship to escape their troubles. 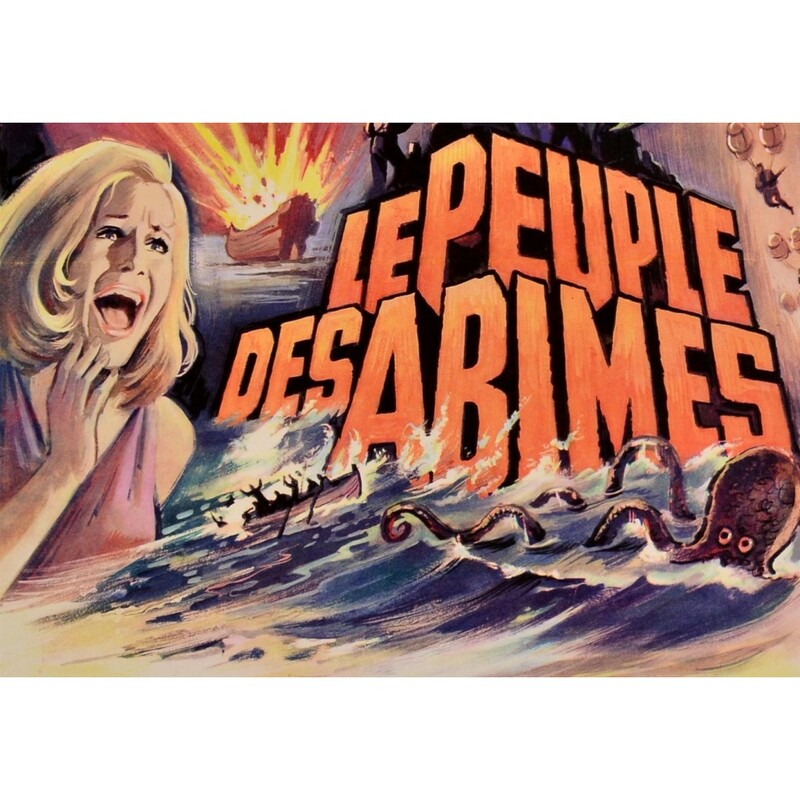 When a violent storm strikes, the ship is swept into the Sargasso Sea and our heroes find themselves trapped on an island of man-eating seaweed, populated by giant monster crabs and some Spanish conquistadors who think the Inquisition is still on. Features songs and music by '1960s "cool group", the Peddlers.